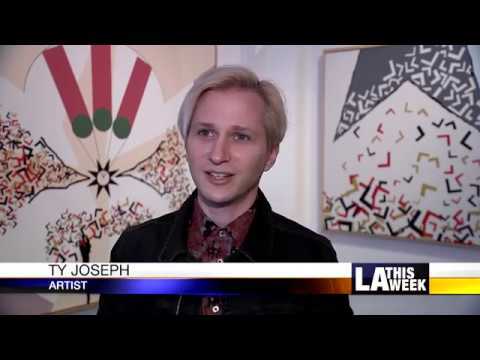 'LA This Week' Interview for Channel 35 on "The Meaning of L" and GDCA Gallery. LA WEEKLY's Editor Shana Nys Dambrot's Picks: Downtown Art Walk! GDCA Gallery tops the List!! "CASA's vision is a Los Angeles in which every child in LA's child welfare system has an advocate and opportunity to thrive." Adding to the vibrant cultural landscape of DTLA, GDCA Gallery is partnering with Sounding Point Media to launch SOUNDING POINT LIVE, a monthly LIVE Chamber Music Concert Series, occurring the last Sunday of every month, starting in January 2019. Sounding Point Live is a collective of instrumentalists, composers, performance, and visual artists. Our aim is to provide exceptional musicality and uniquely curated musical programs that are as diverse as our artists. Further, we aim to perform musical works from historically under-represented communities and remain deeply committed to musical advocacy and its’ transformative and uplifting power in the lives of all people. Through our collaboration with Gloria Delson Contemporary Arts Gallery, we will be curating unique performances and performance spaces, the last Sunday of every month, in conjunction with the incredibly gifted roster of GDCA Gallery artists and exhibitions. contemporary literature in their repertoire.